If you are replacing the flooring in your home, you should consider carpeting. Be sure to visit McLarens Carpet One Floor & Home in Canby for all of your needs. As your locally owned flooring retailer, you can turn to us as your carpet professionals. Carpet continues to be a popular floor covering option among homeowners. All of our design consultants are trained and up to date with the latest industry information to help you make an educated decision about your flooring. We can match you to the best carpet for your home using our unique Select-A-Floor™ system. This system helps us to narrow down your selection based on your lifestyle and personal style. We even offer our own warranties on our exclusive brands, so you and your new carpets are protected. Different lifestyles require different types of carpet. 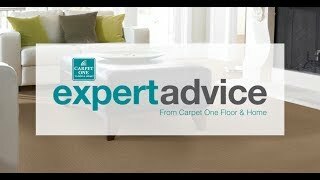 We ask you the right questions to help you choose the best carpet for your home. Just like your home is not cookie-cutter, carpets aren’t either! Carpet is made of fibers which then get twisted into piles. The different fibers include synthetic options like nylon, polyester, triexta, and olefin. We also offer natural fibers like wool, which is allergy friendly and easy to care for. The pile of the carpet can impact how it will look and perform in your home. You can choose from tightly twisted piles, dense piles, or loose piles. Since carpet features warm and comfortable qualities, it is perfect for bedrooms, living rooms, and dens. If you have pets or young children in your household, we may recommend choosing a waterproof carpet option. Waterproof carpets can be installed anywhere in your home, and are perfect for basements. Carpet is also well suited for active areas in your home such as children’s playrooms, hallways, and staircases. Carpet makes your home feel warmer and cozier. As your local neighborhood flooring experts, we want to make sure you find the best carpet for your home. Check out our carpet selection at one of our showrooms in Canby, OR and choose which carpet is right for your home! We offer name brands carpets you love in addition to our exclusive brands including Relax, it’s… Lees®, Tigressá®, and Innovia™.